Pregnancy is the most important stage for every woman, it need enough of nutrition to take care for the baby which still in mother’s body from pregnant to give childbirth. As for gave childbirth, mother’s body will have some changes in physiology obviously. From the point of view for Traditional Chinese Medical, to have an appropriate confinement practice is very important for a mother who have give childbirth. As the saying goes: [Good confinement practices bring less illness in future], means the confinement practices have very deep concept in Chinese society. A mother need to done a set of confinement practice in 4 weeks (28days), in the treatment period have arrange package of meal. New mothers able to have a relax & peace to recover from the rigors of pregnancy through this 1 month period. We hope every mothers have a great confinement treatment through our company & to be a happy mother. 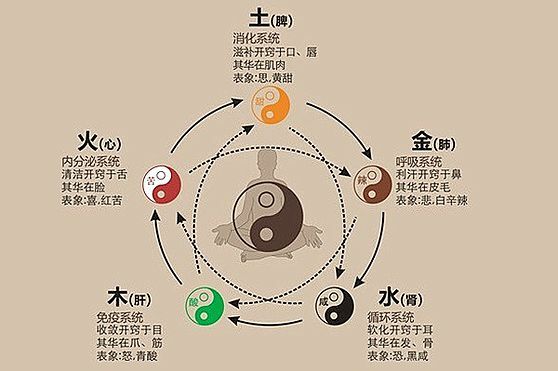 (Organs dialectical) views are based on traditional Chinese medicine diagnosis and treatment, which are divided into the heart, liver, spleen, lung, kidney five parts, called [Wu-Zang (internal organs)]. While [Liu-Fu] refer to gall bladder, small intestine, stomach, colon, bladder and triple burner; as a basis to distinguish something wrong which appeared in organs, organs called dialectical. For maternal body of conditioning will be start from [Wu-Zang (internal organs)], heart, liver, spleen, lung, kidney, taking advantage of the timing for confinement in order to adjust the bias part and get a healthier body status. Heart - Brain systems may contain the circulation, if usually easy get palpitations, chest tightness, and even have sleeping problem, then should consume the appropriate diet depending on the symptoms or diarrhea in order to nourishing the heart or nerves. Liver - Gallbladder problems may contain, emotions controlling, if have a unhealthy liver, your mood will be get offended or bored easily depressed by fear when postpartum. Therefore, we use some medicine meal to comfort the liver. Spleen - Gastrointestinal system may include defecation & etc, if the usually have bad stomach, easy to get diarrhea, bloating or constipation, or dry mouth, bad breath, you should use the appropriate medicine meal to get your stomach clean & get healthier spleen. Lung - Include breathing system and skin diseases, usually if there are respiratory diseases, allergies and even sneezing, runny nose, skin diseases and etc. These are advised to use medicine meal to warm & clearing the lungs and use other herbs. Kidney - Include urinary and reproductive system, if the usual urination problems or irregular menstruation, vaginal discharge or other issues, should use appropriate diet to good for kidney. Other than that, there is also have some additional conditioning such as blood circulation, constipation, sleep, eyesight, stronger tooth, healthier hair and other herbs, depending on the needs of women and accessible. Certainly, these must recognize their own physical condition in order to do the treatment, we have doctor to consult and give help if you have a little confused. We hope they get the appropriate medication. Taking advantage of the confinement of the deviation from the normal condition of the body correction. Therefore, after confinement practice, the body will become healthy also seemed to work. Women who postpartum wil have very week body, immunity reduced, and this time it is easy to get cold, so mothers should be very careful to take care of themselves, especially the head not to get wind blowing also not exposed to rain, else will be easier to get headache problem in future. As the saying goes: within the month was have wind, so the confinement for the woman is very important, we must take advantage of the opportunity to conditioning the body in order to have a healthy mother and happy baby. The primary concern of confinement are blood, liver, heart, spleen, lungs, kidney, comfortable sleep, laxative prescription to adjust the body, strengthen the immune system enhancing drug resistance, regulate uterine contractions, promote the body recovery. During the confinement month have practice appropriate treatment, which allows the body get recovery and enhance the immune system resistance, then the time will be recover slim, can clear prescription ingestion. Brushing - Due to lack of endocrine changes, or vitamin C intake may have gum edema, easy bleeding, particularly bleeding when brushing your teeth, must be very focused on oral hygiene. Soup - However, most new mothers breast duct is not fully open, do not rush to drink soup lactation. Water - Two weeks before the postpartum should not drink too much, will cause edema, affects postpartum recovery. Cold - After childbirth declined significantly, have made reducing maternal metabolism, mostly from heat to physical Deficiency, cold food should not eat too much. Spicy Food - Spicy food temperature and dry heat, may increase the heat so that the baby through breast milk, so the diet should be light. Fruits and Vegetables - Fruits and vegetables are rich in vitamin copies, as well as vegetable protein, to restore the body and increase maternal milk of a great help. Temperature - Wear long sleeves, long pants, socks, avoid cold, flu, or the joint by wind, cold, wet invasion. Work and Rest - Discharge of lochia, bones and body recovery helpful. Clean - Keep clean and avoid being bacterial infection and inflammation. Cummerbund - Physiological recovery postpartum abdominal relaxation, stay in shape, excellent help. Pelvis - For the restoration of the pelvis and hips relaxation extremely helpful.